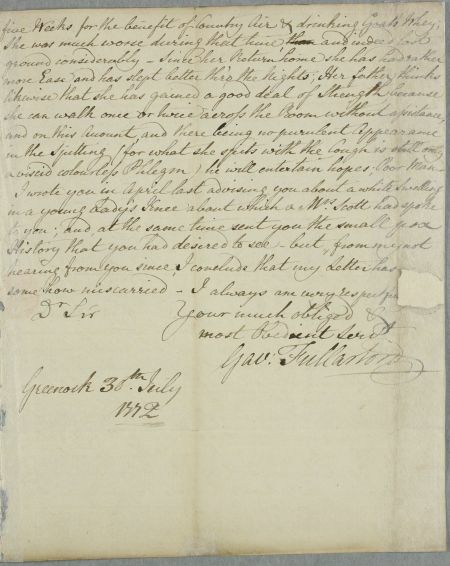 Letter from Gavin Fullarton in Greenock, regarding the case of Mr Turner's daughter, who had 'a Haemoptoe preceeded by and accompanied with a fixed pain about the middle of the sternum' and is now dying of advanced consumption. 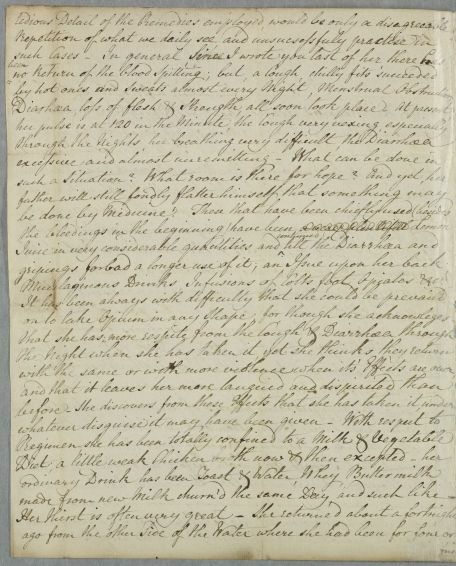 Mr Turner has requested the advice of Cullen and Gregory in a letter to be delivered by an unnamed friend. Summary Letter from Gavin Fullarton in Greenock, regarding the case of Mr Turner's daughter, who had 'a Haemoptoe preceeded by and accompanied with a fixed pain about the middle of the sternum' and is now dying of advanced consumption. 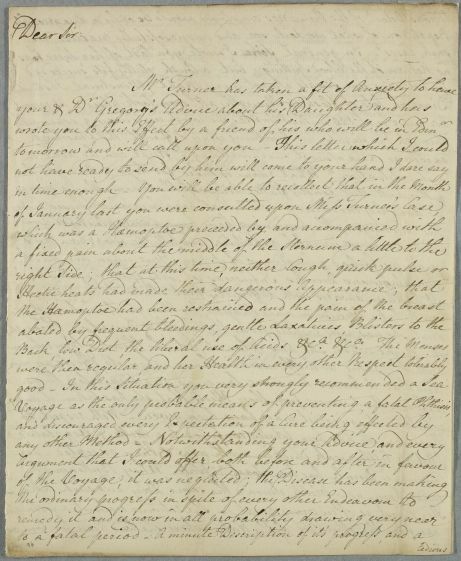 Mr Turner has requested the advice of Cullen and Gregory in a letter to be delivered by an unnamed friend. Case of Miss Forbes with a 'white swelling' of her knee. Case of Mr Turner's daughter reported as having 'a Haemoptoe preceeded by and accompanied with a fixed pain about the middle of the sternum' and who is now dying of advanced consumption. Mucilaginous Drinks, Infusions of Colts foot, Opiates & ca. 1: Untraced (no Person ID has been attributed). 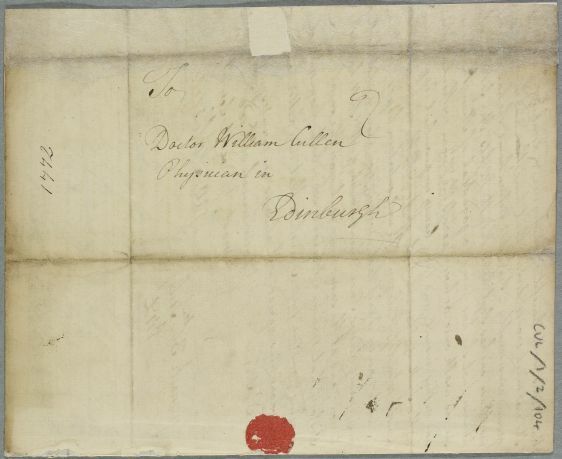 2: This letter did not miscarry; it is CUL/1/2/86 (Letter ID:819).